Let me say here and now that I believe each of these passages, just not how THEY believe them. Their problem is that these passages are quoted out of context and interpreted without that context. 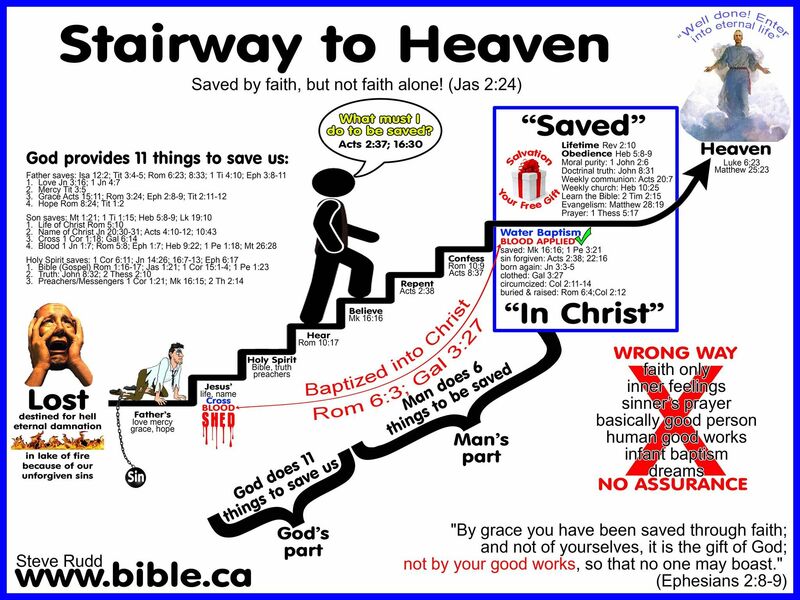 They come to the conclusion that a person is justified (saved) by FAITH ALONE. When one studies the bible, one rule that is often overlooked but must always be applied is the rule of context. A passage needs to be interpreted in the light of its context. Another consideration is that the bible harmonizes with other similar texts. The faith only folks want you to believe that Abraham did NOTHING prior to his JUSTIFICATION. This simply is not true. When Paul said in Romans 4 that Abraham was justified, he is referring to Genesis 15:6. However, by that time, Abraham had already OBEYED God by leaving his homeland in Gen 11:31-12:3. It is true that Abraham was justified without the deeds of the law, which according to the context refers to the Law of Moses. Nowhere does the Scripture teach that a person is justified (saved) without works. For this passage we need to apply the same rules, context & harmony. Let us read verse 10, “For we are his workmanship, created in Christ Jesus unto good works, which God hath before ordained that we should walk in them.” Once again, the context teaches us something about works. There are 2 kinds of works, works of man & works of God. Ephesian 2:10 teaches that there are works that God has prepared. Works that God commands. Please understand what I am saying, a person is never justified by works when he places his trust in JUST the works. We are justified when we put our trust in God WHILE DOING THE WORKS HE HAS COMMANDED.